Manila, Philippines - Government employees can expect to receive salary hike as President Rodrigo Duterte signed an executive order to fund the last and fourth tranche of the salary hike. 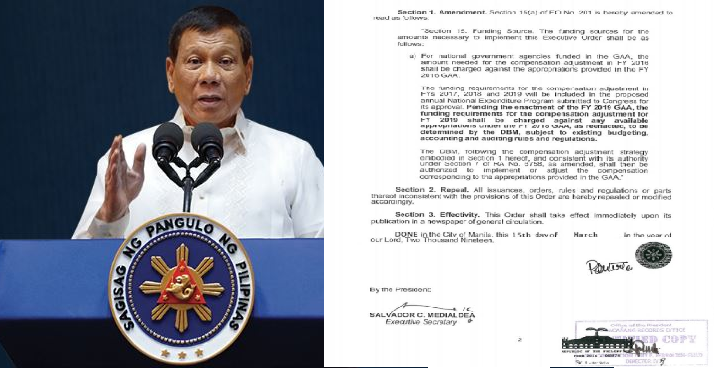 Despite of on hold status of 2019 national budget, Duterte signed on March 15, EO No.76, amending a portion of EO No. 201 stating, "the funding requirements for the compensation adjustment in fiscal years (FYs) 2017, 2018 and 2019 will be included in the proposed annual National Expenditure Program submitted to Congress for its approval, " Section 15(a) of the EO No. 201. 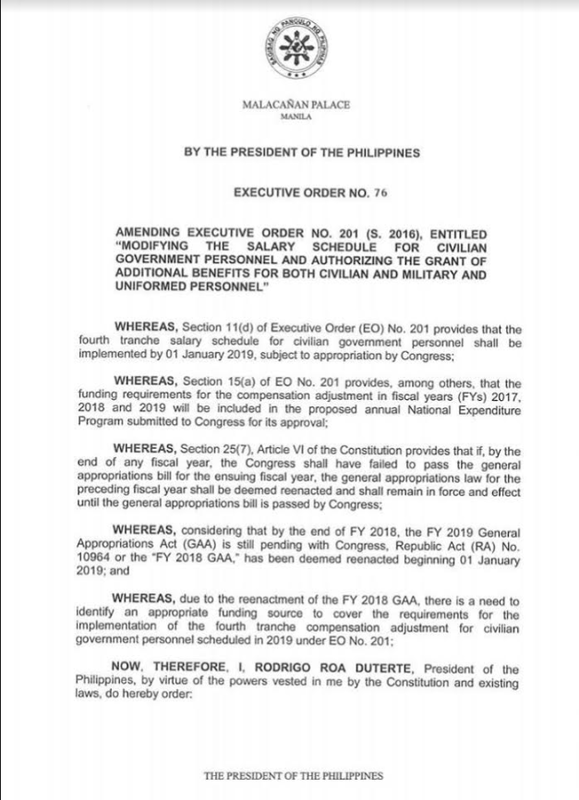 Due to the reenactment of the FY 2018,"there is a need to identify an appropriate funding source to cover the requirement for the implementation of the fourth tranche compensation adjustment for civilian government personnel scheduled in 2019 under EO No. 201," the EO reads. The government workers were supposed to have started receiving the fourth and last tranche of the salary increase in January, however, House of Representatives and the Senate have delayed the passage of the 2019 national budget. 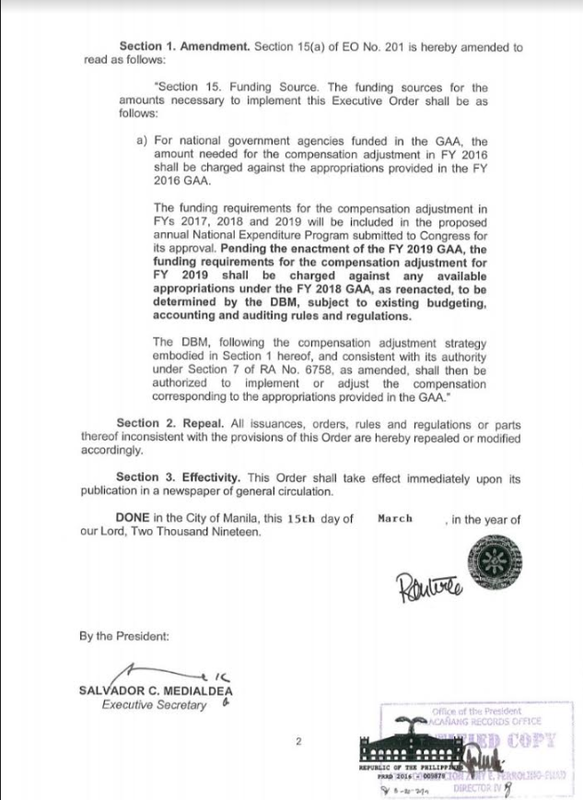 The Congress still pending the P3.575-trillion national budget. This represents the final tranche of the salary standardization law (SSL), which provides for salary increases for all government employees which started in 2016.